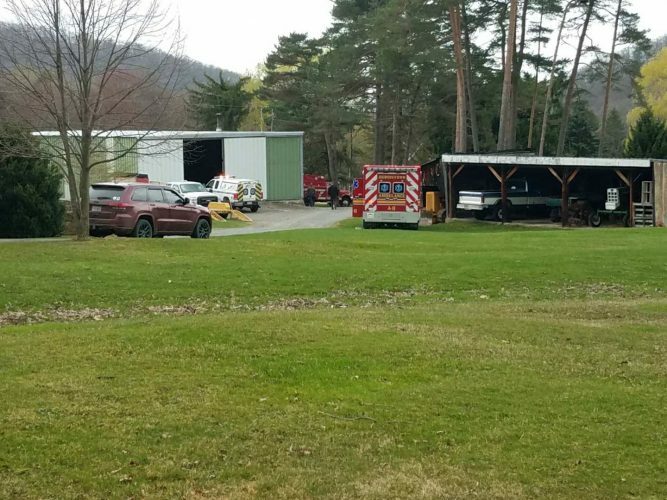 A 63-year-old Perry County man was recovering from injuries he suffered Saturday morning when he fell at least eight feet into a basement crawl space as the floor he was standing on suddenly gave way at the former Bottle Run Grange 1301 in Old Lycoming Township. 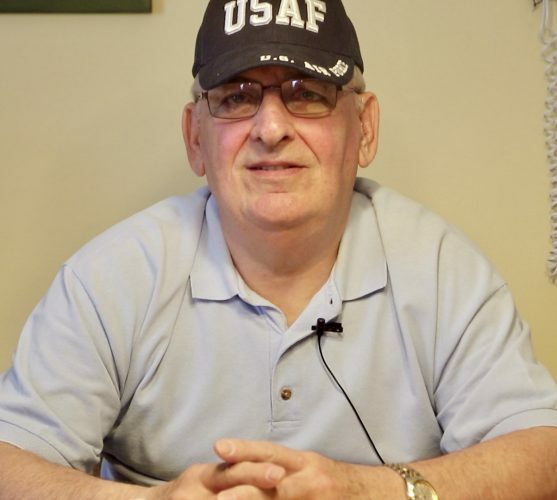 Wayne Campbell was trapped in the crawl space for about 30 minutes until rescue crews could shore up and stabilize the floor enough so that he could safely exit the large gaping hole created by the collapse, according to emergency responders. Campbell, who serves as the state’s Grange Master, was in the building on Sholder Road with other grange (or former grange) members, cleaning out the kitchen, when a section of the floor buckled just before 10:30 a.m.
firefighters, Campbell managed to climb out of the hole on his own, but was soon placed on a stretcher and carried to a waiting ambulance. Bailey and Williamson stepped back and, at the same time, tried to grab hold of Campbell, but he fell into the crawl space. “Wayne went through the floor, into the basement. 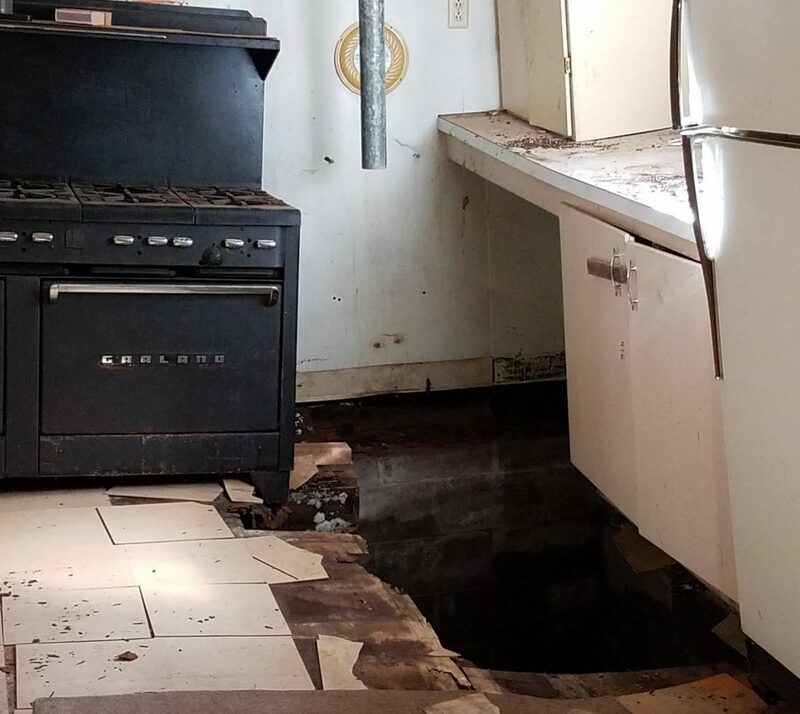 The mixer fell on him first and then a hot water heater that was next to the stove fell into the hole and landed on top of him,” Williamson, of Linden, said. “Had we not stepped back as soon as the floor started to give way, Cliff and I would have gone into the hole as well and landed on top of Wayne,” she added. “It was bad. It happened so fast. It was just a matter of seconds,” Williamson said. While Williamson bolted outside to call 9-1-1, Bailey, of the Shippensburg area, went down into the hole to help Campbell. “He was buried under the mixer, all of the hot water heater and part of the floor,” Williamson said of Campbell, who lives in Newport. Campbell never passed out, Williamson and rescue workers said. 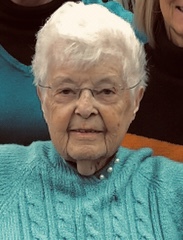 Also working in the kitchen was Williamson’s aunt, Karen Williamson, a 60-plus year member of the grange, who saw Campbell fall when the floor gave way. She said it took her breath away. Firefighters from the township and the city as well as paramedics from UPMC and township police responded to the scene initially, but township Fire Chief Matt Oldt, who directed operations, immediately called for additional special rescue equipment, including extra blocks of cribbing, struts and jacks that were used to support the sinking kitchen floor. The extra equipment and additional personnel came from DuBoistown and the Pennsylvania Urban Search and Rescue team, based in the city’s Newberry neighborhood and made up of personnel from Lycoming and Clinton counties. Once the floor was shored up, it was safe for Campbell to climb out of the hole. He was taken to UPMC Susquehanna Williamsport Regional Medical Center for treatment of his injuries. The township’s codes officer responded and condemned the building, which has been vacant for at least three years when Grange 1301 merged with another grange in Montgomery. When the floor gave way, the grange members were cleaning out the building, which is in the process of being sold. The closing is scheduled for later this month.